Gold Antique is an attractive and elegant granite. Its white background with golden brown and yellow speckling makes it a great match for a variety of kitchen and bathroom designs. 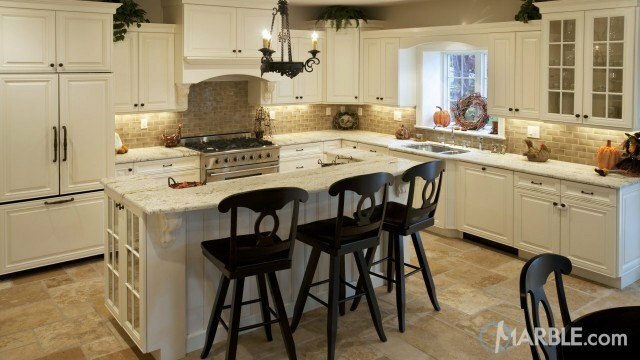 When looking for a countertop or vanity Gold Antique is a stunning and durable option.